​Key Features: Spring / summer flowers; Neat height and shape for smaller garden; Resilient tree capable of withstanding difficult growing conditions. Supplied: In three litre containers of peat-free compost, healthy and well established, approximately 120cm (4 feet) high, with full planting and aftercare instructions. Paul's Scarlet was first discovered in a Hertfordshire garden in 1858 and has proven to be a real favorite and proven garden performer in its cultivation since. 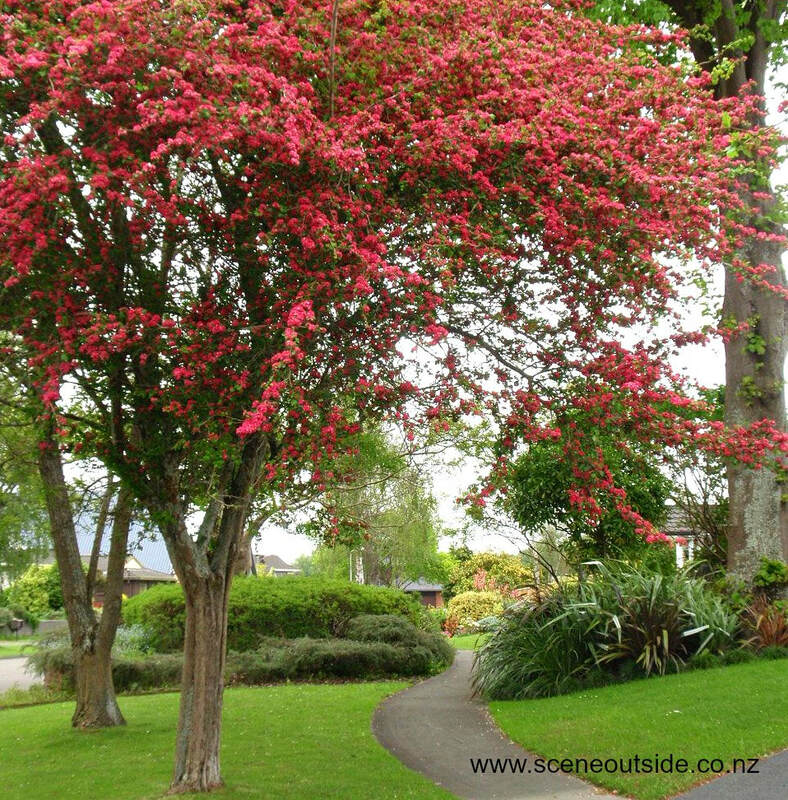 Hawthorns are easy to grow and Paul's Scarlet will happily provide an abundance of spring flowers in situations that other spring flowering trees might struggle. Crataegus laevigata 'Paul's Scarlet' makes a neat round headed small to medium sized tree with graceful arching branches. Each new spring bright green foliage emerges turning emerald green as the summer unfolds. Clusters of double scarlet and crimson flowers provide a showy long lasting spring blossom. Crataegus laevigata ‘Paul’s Scarlet’ is a prized tree for smaller spaces where dazzling flowers and a regular rounded shape are required. It will perform in any soil, is an excellent candidate for exposed situations and can also tolerate urban atmospheric conditions. Fully hardy.